Navarra export catalogue - Pamplonica S.L. PAMPLONICA, has been dedicated for 75 years to the elaboration of meat products. 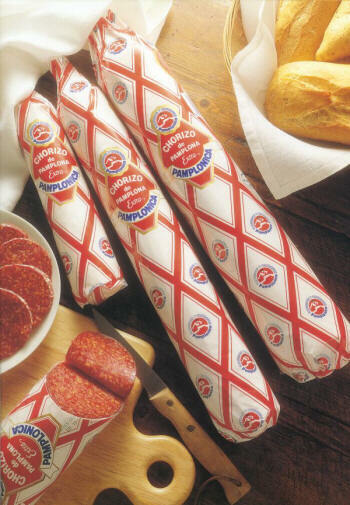 With a wide range of produts, Pamplonica manufactures typical spanish products like chorizo or chistorra, and others like fpork liver, salame or cooked ham.